A lot of noise has been made about how longform serialised dramas are the ‘new novels,’ with numerous episodes that keep audiences hooked until the very end. But what books are now coming to screen and how are they being adapted? In the era of ‘Peak TV,’ it’s commonly overheard that serialised television dramas are becoming the new novels – one story told over multiple episodes. Indeed, some series, like Netflix’s House of Cards, even name their episodes ‘chapters’ while, like books, there are surely now too many shows made for anyone to claim to have watched them all. Yet while this is a more recent phenomenon, books have long been the inspiration for, and basis of, many television series. And with the need of every new television drama to create some buzz at its launch and pull viewers away from whatever else they’re watching, plus the added bonus of a ready-made fanbase, it’s no wonder books continue to be snapped up for small screen adaptations. The Handmaid’s Tale, Poldark, Castle Rock, Ordeal by Innocence, La Cathedral del Mar (Cathedral of the Sea), Vanity Fair, The City & The City, Sharp Objects, Women on the Verge and My Brilliant Friend are just some of the series based on books that have been on television this year, with the eagerly anticipated final season of Game of Thrones due in April. Also on screen in 2019 are Les Misérables, The War of the Worlds, Good Omens, The Rook, The Spanish Princess and The Name of the Rose, while His Dark Materials, The Luminaries, Alex Rider, The Butchers of Berlin, Lord of the Rings and Dracula are all in the works. 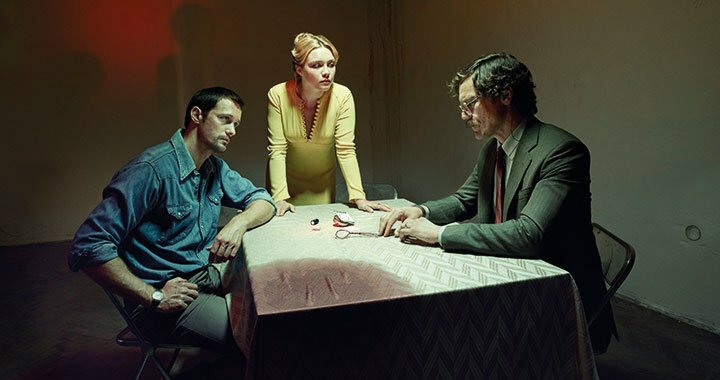 Following the worldwide success of 2016 miniseries The Night Manager, UK production company The Ink Factory returned to John le Carré’s extensive catalogue of spy novels for follow-up The Little Drummer Girl, again for the BBC and AMC. Endeavor Content distributes. But those expecting a similar story would be wise to forget Tom Hiddleston’s rookie spy and Hugh Laurie’s ruthless arms dealer. In this adaptation of le Carré’s 1983 novel, Florence Pugh plays Charlie, a young actress who strikes up a relationship with Becker (Alexander Skarsgård), an Israeli officer who entangles her in a complex plot orchestrated by spymaster Kurtz (Michael Shannon). After The Night Manager, Ink Factory co-founders – and le Carré’s sons – Stephen and Simon Cornwell sought another of the author’s works that played out on a cinematic level with a compelling story at its heart, but that was also quite distinct and different. The Little Drummer Girl fitted the bill. “It’s a compelling narrative, it’s very anchored on the core characters and their progression through the story and it travels and evolves and has a complexity and richness to it that really speaks to longer-form storytelling,” says Stephen Cornwell. He believes the proliferation of book adaptations on TV is down to the fact that “great books tend to tell great stories,” and in turn, great stories attract great talent – from writers and directors to actors and everything in between. 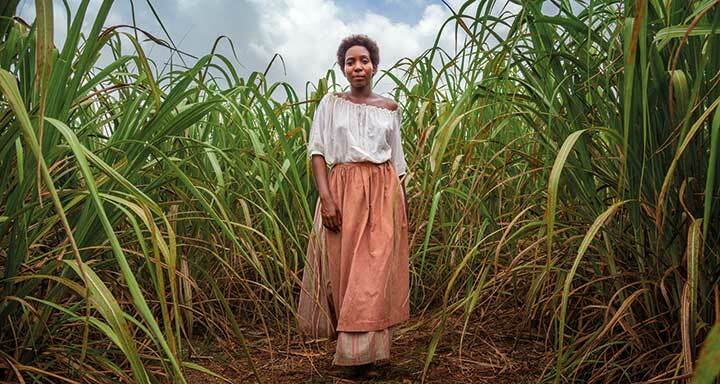 Williams first adapted a novel by Andrea Levy in 2009, turning in the script for BBC miniseries Small Island. She has now reunited with the author for The Long Song, a three-part BBC1 series produced by Heyday Television and distributed by NBCUniversal International Distribution. The writer says working with Levy has been crucial to the adaptation process, most notably on condensing the life story of strong-willed slave July (Tamara Lawrance) – told over two timeframes – into a trio of hour-long episodes that also replicate Levy’s balance of drama and humour. The producers behind Swedish spy thriller Hamilton have taken a different approach to adaptation, however. Jan Guillou published his first novel about the character, dubbed Sweden’s James Bond, in 1986, and more than a dozen have followed. But rather than creating a period drama setting intelligence officer Carl Hamilton in the midst of the Cold War, which was ongoing when the books were first released, DramaCorp-Pampas Studios is placing the character firmly in the present day during what might be considered a Cold War 2.0. Airing in 2020 first on Scandinavian streamer C More and then on Sweden’s TV4 and ZDF in Germany, Hamilton is distributed by Beta Film worldwide and ZDF Enterprises (ZDFE) in German-speaking territories. The strategy echoes that employed by co-showrunners Carlton Cuse and Graham Roland when they reimagined Tom Clancy’s action hero Jack Ryan for Amazon Prime Video, creating a series based on Clancy’s characters. 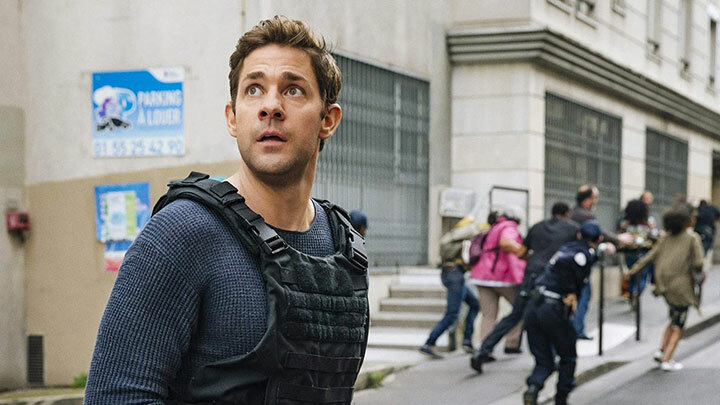 A second season of Tom Clancy’s Jack Ryan was ordered by the US streaming giant before the first debuted in August. “The literary material was so rich to start with that the skill was neither to add nor remove, but only to enhance what was already incredible,” creator Gloria Giorgianni says of the adaptation. “That was the only difficulty, really. 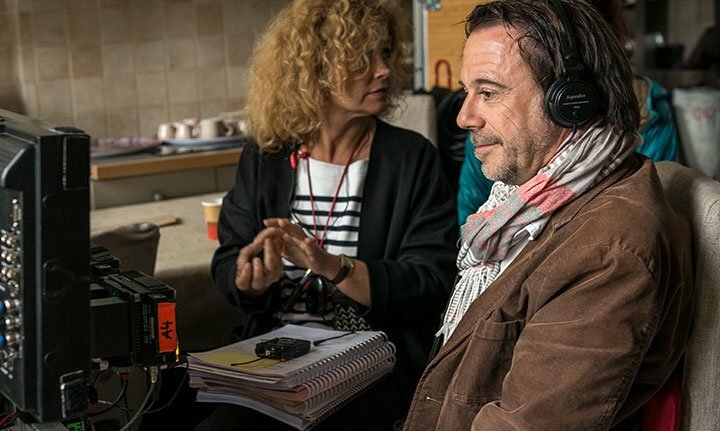 Michel Bussi is the author of bestselling novels including After the Crash and Black Water Lilies, with the former adapted into a four-part miniseries by CPB Films for French network M6. Global Screen holds distribution rights. The thriller is set after a plane crashes in the Alps, with just one survivor – a baby girl. When two families claim the child as their own, a detective is hired to find out the truth. Keeping the DNA of the source material was also essential in making Swedish drama Kristina Ohlsson’s STHLM Requiem, based on Ohlsson’s detective novels. The 10-part series, with five stories told over two episodes each, follows an unconventional criminologist solving cases as part of a special investigations unit within the Stockholm police. Kate Brooke is used to stepping into different worlds, whether it’s the early 1900s with Mr Selfridge, Renaissance Italy with Medici: Masters of Florence or creating a dark thriller in crime drama Bancroft. For her latest project, however, she plunged into a world of witches, vampires and demons with the adaptation of Deborah Harkness’s fantasy novel A Discovery of Witches. Produced by Bad Wolf for Sky1 in the UK, it has been renewed for second and third seasons following its launch this autumn. This was the first time Brooke had dipped her toes into the fantasy genre, with a story that introduces a variety of supernatural species all living together in plain sight and addresses political and evolutionary issues that she says feel incredibly contemporary. 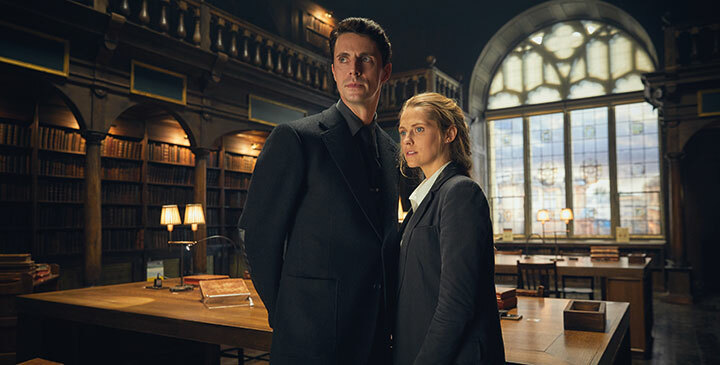 There’s also a love story between lead characters Diana Bishop (a witch played by Teresa Palmer) and Matthew Clairmont (Matthew Goode’s vampire). A Discovery of Witches didn’t lend itself directly to adaptation, however, owing to its first-person perspective and huge amounts of backstory that comes with each character. Brooke sought to introduce characters earlier on screen so they are already familiar by the time they become more central to the story. She also decided to give Matthew 50% of the narrative, which involved building the character beyond what was in the book. “But that’s fun for an adapter because you can begin to bring your own imagination and meld it in Debs’ world. Obviously I was always in contact with Debs about that,” Brooke says. What’s notable about many adaptations today, including A Discovery of Witches, is that they might have been considered too niche or even impractical to make several years ago. But the explosion of content on screen means networks are now more open to genre drama, particularly fantasy and sci-fi, than they were previously, while technological and financial advances also mean exciting new worlds can be realised with the cinematic quality audiences demand. The rise of serialised television means books that come with deep mythologies can also be retold, with writers not forced to cram everything into a feature-length running time.